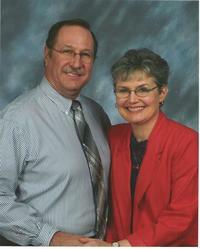 Pastor Dan and his wife Kathy joined Prairie Hills on May 15, 2005. Pastor Dan teaches with a passion for God's word. Never wavering from God's truth, Pastor Dan preaches traditional Biblical truths with a contemporay understanding. His wife, Kathy, shares God's word through song. Her beautiful voice can be heard every Sunday in our choir and every year during our Easter Cantata. Pastor Dan and Kathy have been a blessing to our church.